Universal Pictures and Illumination Entertainment unveiled The Grinch TV Spot during the PyeongChang Winter Olympics. Starring Benedict Cumberbatch as the Grinch. Based on the 1957 Dr. Seuss story How the Grinch Stole Christmas! The film tells “the story of a cynical grump who goes on a mission to steal Christmas, only to have his heart changed by a young girl’s generous holiday spirit. Funny, heartwarming and visually stunning, it’s a universal story about the spirit of Christmas and the indomitable power of optimism. The infamous Grinch, who lives a solitary life inside a cave on Mt. Crumpet with only his loyal dog, Max, for company. With a cave rigged with inventions and contraptions for his day-to-day needs, the Grinch only sees his neighbors in Who-ville when he runs out of food. To do so, he decides he will pose as Santa Claus on Christmas Eve, even going so far as to trap a lackadaisical misfit reindeer to pull his sleigh. Meanwhile, down in Who-ville, Cindy-Lou Who—a young girl overflowing with holiday cheer—plots with her gang of friends to trap Santa Claus as he makes his Christmas Eve rounds so that she can thank him for help for her overworked single mother. Directed by Peter Candeland and Yarrow Cheney with Matthew O’Callaghan serving as co-director. Produced by Chris Meledandri, Janet Healy and Scott Mosier. 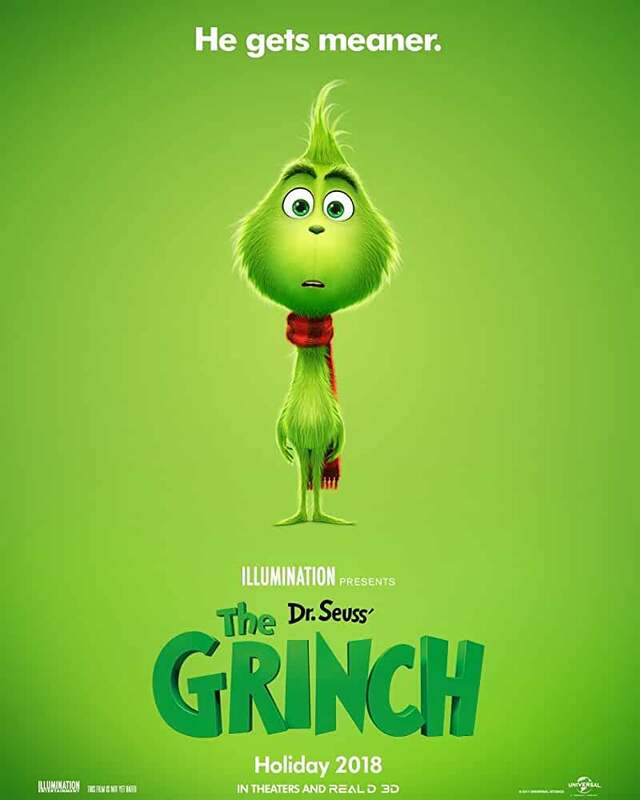 The Grinch is scheduled to be released on November 9, 2018 in Real D 3D and IMAX 3D.